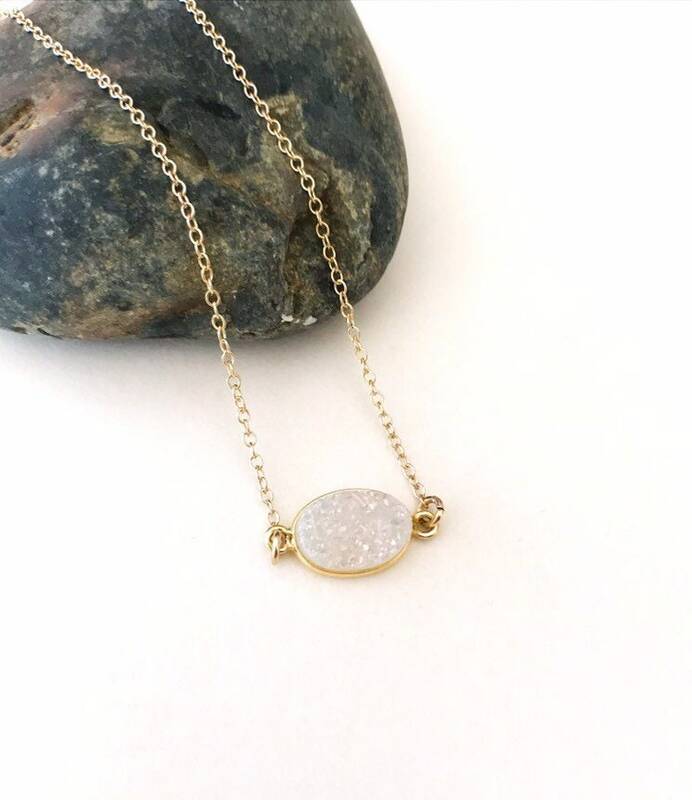 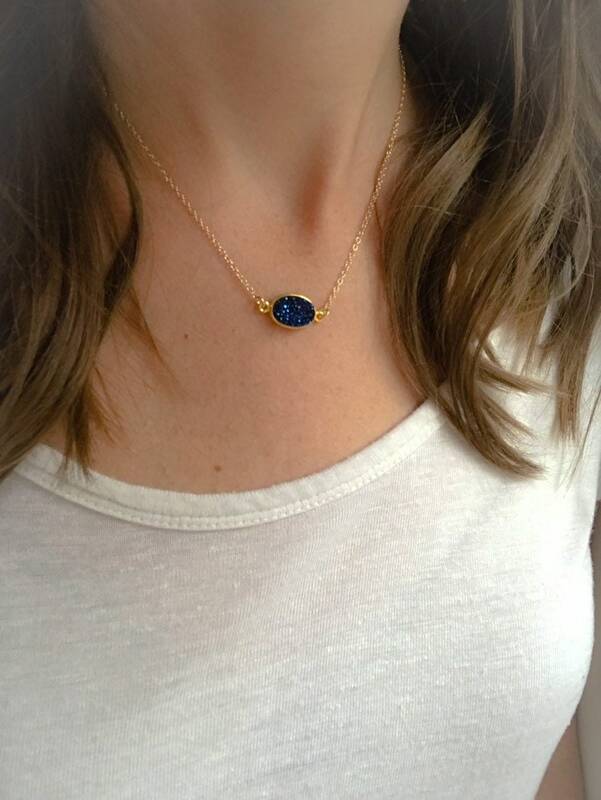 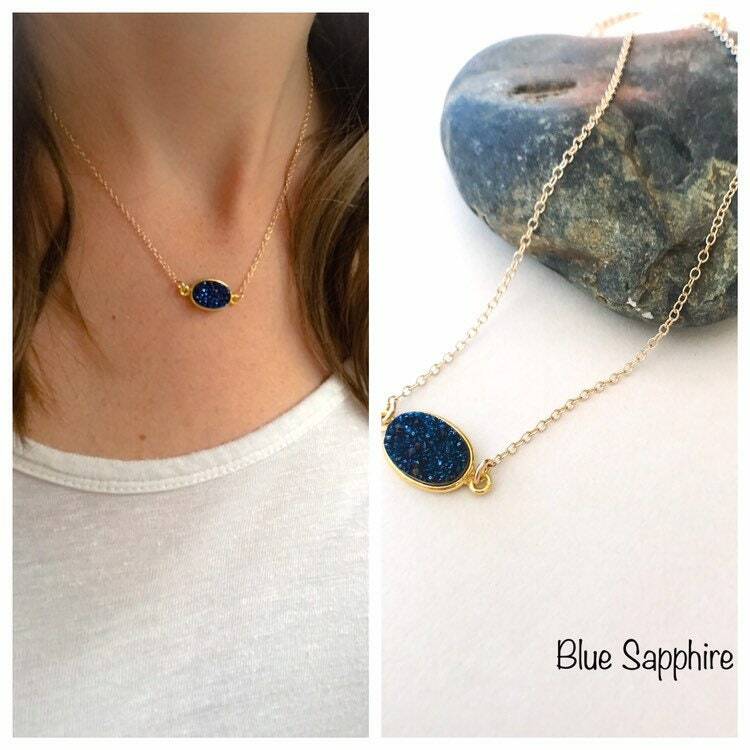 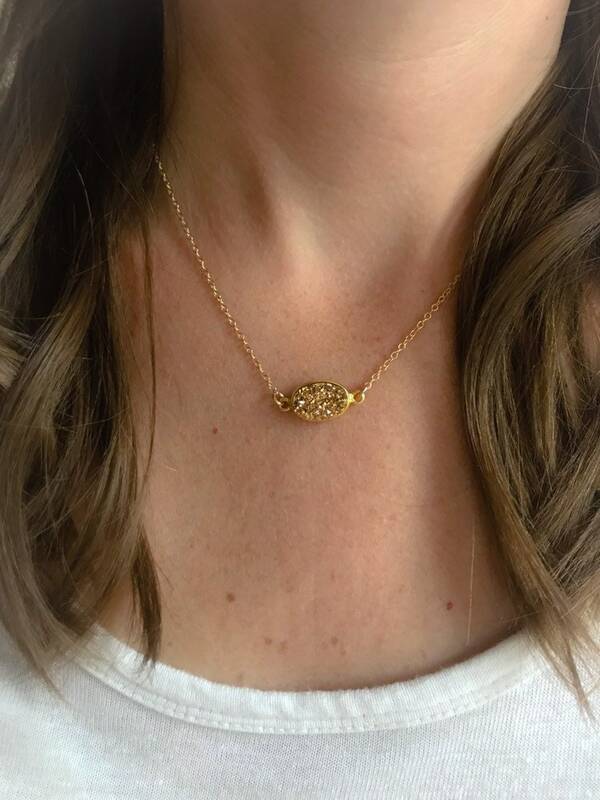 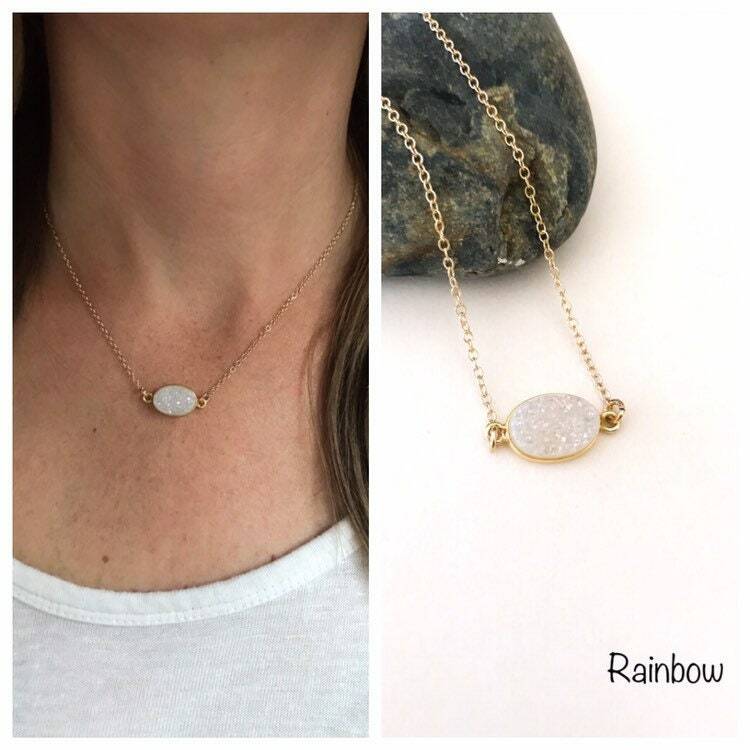 Oval Druzy Necklace- More colors available! 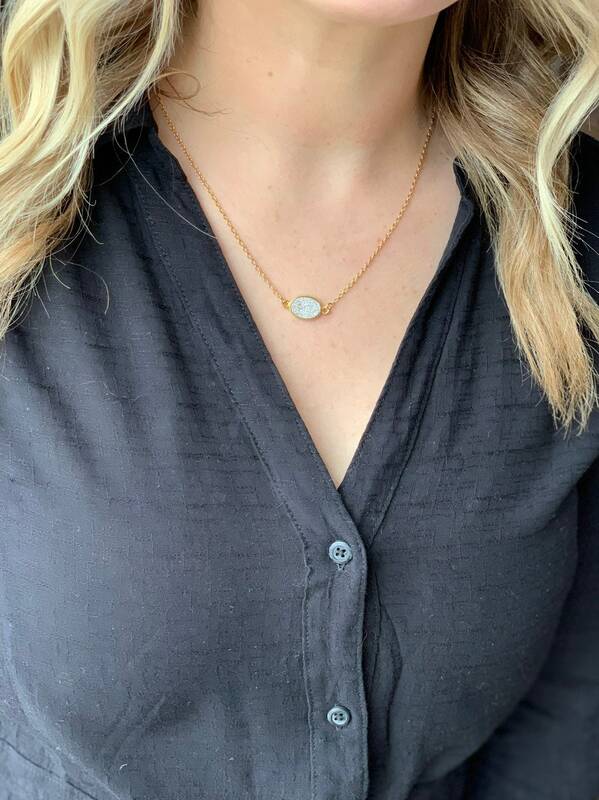 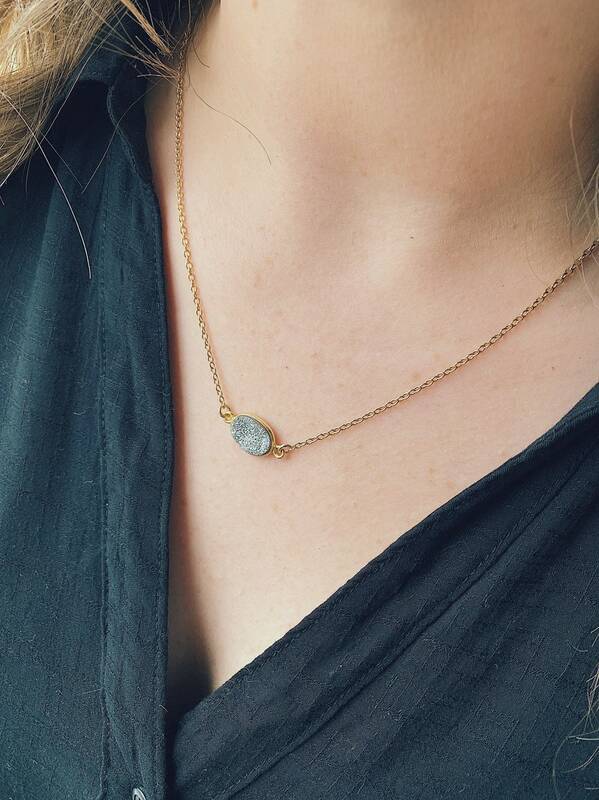 Chain Length Gold Filled 16" Gold Filled 17" Gold Filled 18" Gold Filled 19"
A simple and feminine necklace with a beautiful sparkly druzy as the main attraction. 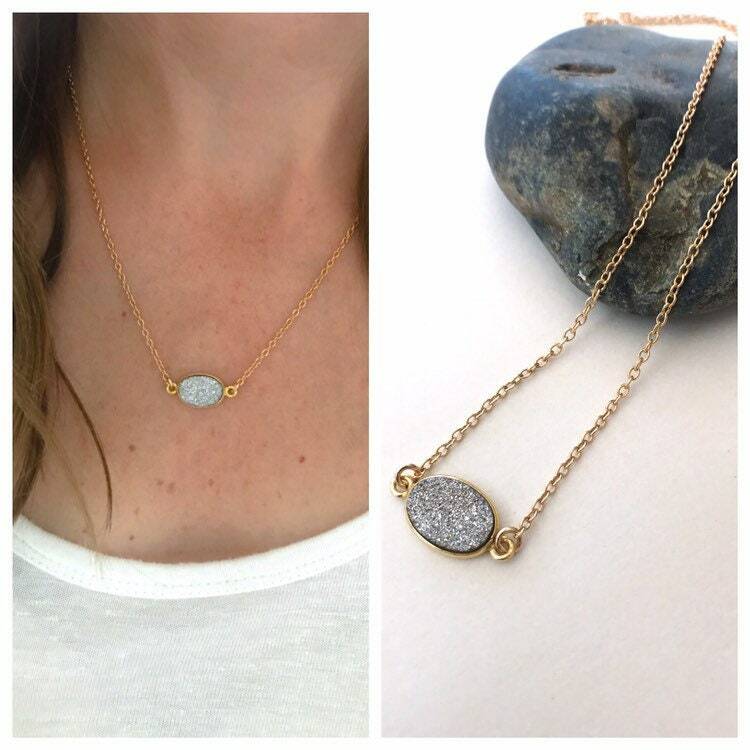 This is simple layering necklace that will go with many Magpie Studio + Co. necklaces! 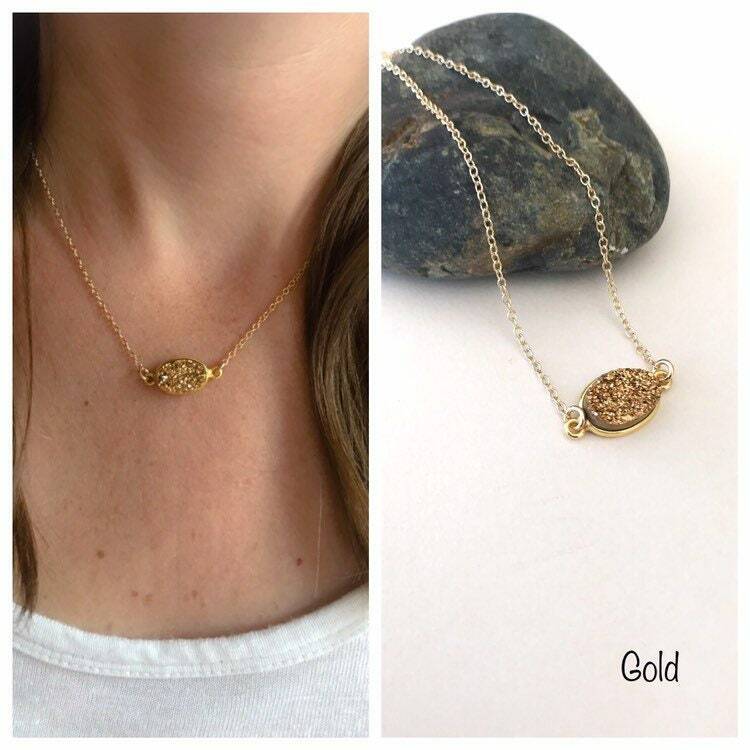 ►Model is wearing 18” chain. 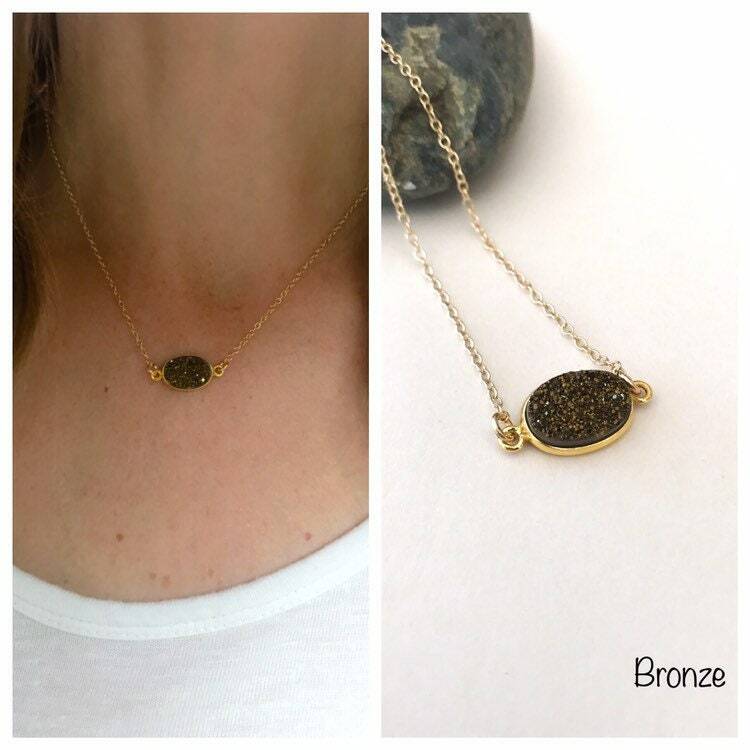 Featured image is the silver druzy.